North Branch’s Joe Nihart (right) and Matthew Stuber ran the entire Section 7AA meet together, with Nihart coming in 11th and Stuber coming in 12th, which was good enough for both of them to qualify individually for the state meet this Saturday, Nov. 3. As a team, the Viking boys finished in seventh place. 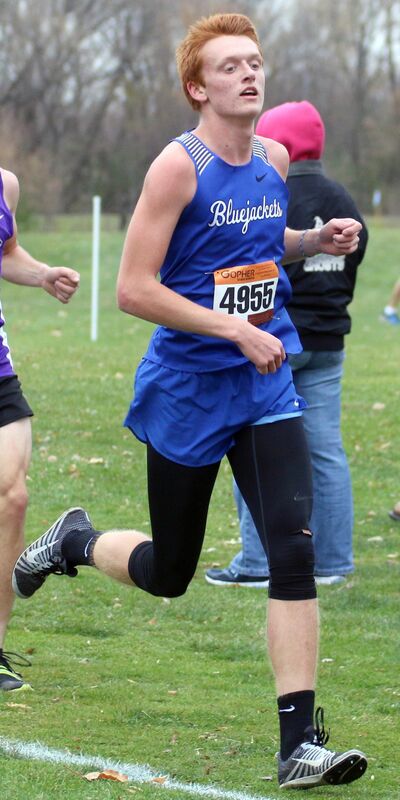 Cambridge-Isanti’s Dylan Larson will be making his second-straight state meet appearance after his 15th place finish at the Section 7AA meet held in Princeton on Thursday, Oct. 25. Bluejacket senior Jess Illg will have one more race in her high school career after qualifying for state. As teams, both C-I boys and girls finished in fifth place at sections.